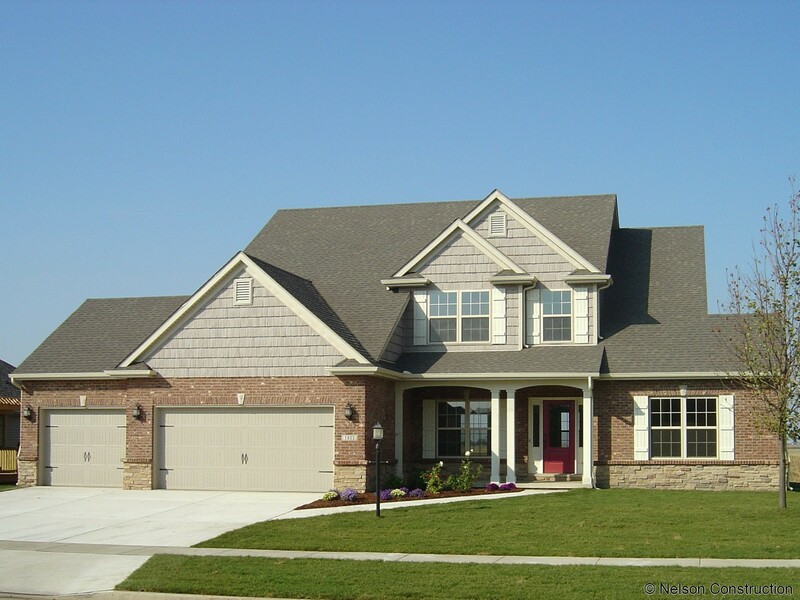 Exterior of 2-story home with brick veneer and vinyl siding. When entering the Yorktown, you step into a two-story foyer with a plant shelf above and a second floor balcony sitting area overlooking the foyer. The elegant stairway is hidden in the center of the home, but it is open to the living room. The kitchen, family room, dining room, and foyer are separated with decorative archways. The generous U-shaped kitchen features a center island with round eat-in area, a desk unit, and a large dinette. Custom bookcases surround the fireplace in the light filled family room. 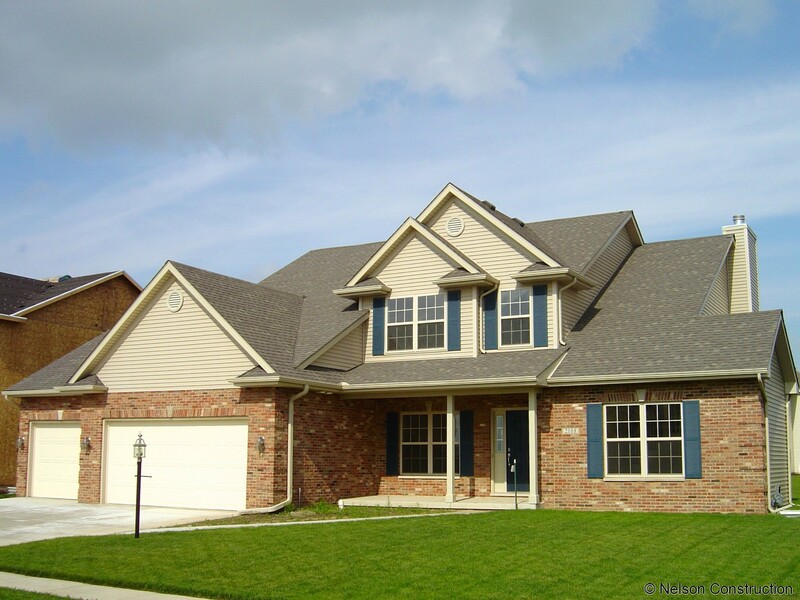 Upstairs there are four bedrooms with an inviting master suite with a lavish master bath. The home is complete with an unfinished full basement and a three-car garage.